The smallest things teachers do can make a huge impact. Those little action and words we almost unconsciously use have the power to shift the trajectory of a little human’s (or whole class’) day. But, so often, we forget the amazing skills and knowledge within our head isn’t always out there for others. Those little things we do every day in classrooms aren’t necessarily known by every teacher. What if we made those tiny actions or words so clear everyone could use them? You had me a ‘What if’. Well, this post is here to do that. I thought I’d share a simple way to build classroom culture, high expectations and connections that I’ve used over ten years. I call it: Telling Them You Want to be There With Them. Yes, this sounds ridiculously obvious. But stop and have a think. Do I explicitly tell my class this? Could I do it a little more? If you’re anything like me, chances are yes, I probably could do it a little more. I’m certain between the 60,000 questions, updates and stories figuratively hitting us in the face every morning from students, peers and parents, there’s a fair chance we might get caught up with other things. So I used to make it a part of my morning greeting every single day. Almost like a part of my morning script, but instead of simply saying “Morning everyone” and then jumping into the class roll, I’d start a little differently. Tell them you want to be here and happy to see them all. Smile while you are saying this (even throw a thumbs up if you’re feeling it). Slowly scan the class as you do this. It’s a simple way to give each kid a little bit of recognition and attention from you. Extra points: Think of one thing you know is happening later in the day and explain why it is a noteworthy thing (let’s be honest, if you can’t find one thing in the day that might be noteworthy for kids, chances are tomorrow’s or next week’s plans might need some refinement). “Morning Team! I’m pumped for today, [start scanning] we’ve got some great things happening throughout our time together [possibly point to kid looking a little off extra grin, thumbs up and slight head nod, then keep scanning] and I’m really excited to help you get the most out of the day. And that’s how we roll. By roll I mean continue to teach for the rest of the day after getting off to a bloody great start. Is this something that might work within your class? You obviously know your kids better than me, so play around with what feels natural or normal to you and your class of legends. Finally, if a kid seems a little off (and you know or believe they respond okay to being in the spotlight) use their name in a quick little anecdote about something that happened to you that morning. You not only tune Giorgio in, you make him smile (possibly giggle or pretend not to be giggling, but really is), draw him into the group, connect him to something positive and frame the day into a positive light. All within ten seconds. How do you kickstart your day? Any tips or golden advice? Why not comment below or share them with our community at our Facebook page? Join our community to get our teaching goodies and insights from amazing teachers straight to you! 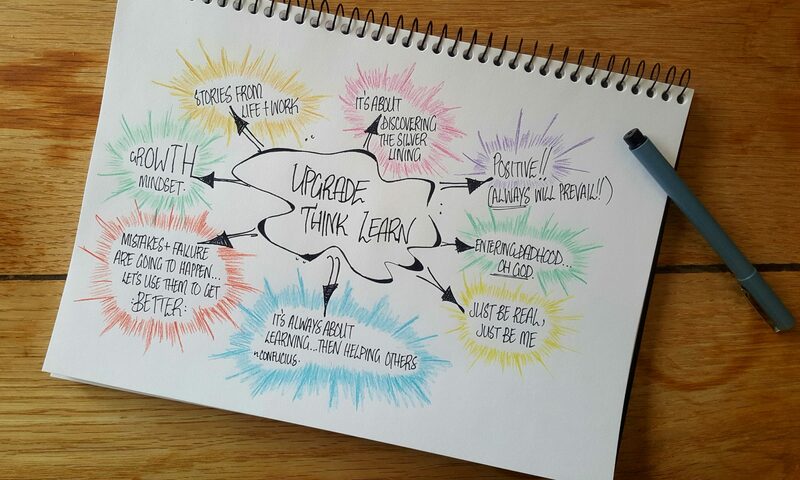 Listen to the Upgrade Think Learn podcast on Apple Podcasts and Spotify to get some incredible tips from amazing teachers!